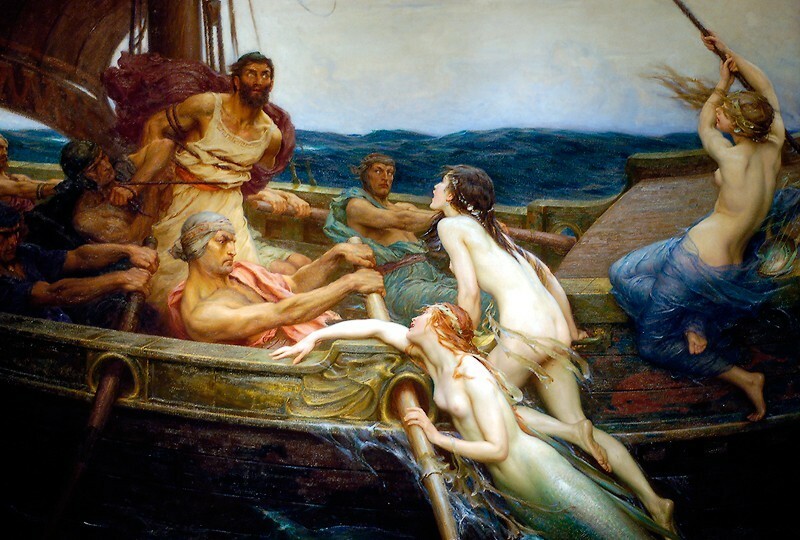 So Odysseus commands his crew as they approach the Sirens and their ‘urgent song’. They obey and they all survive. There’s a siren song that we English teachers heard some time ago, but unfortunately we listened and got waylaid. It was the song of the explicit outcome. This is taking longer than she thought it would. Filling in a plan for the poetry lesson seemed like such an obvious and helpful thing to do, especially given the warm and encouraging supervision of her mentor teacher. But she kept getting stuck on the ‘Lesson Outcomes’ box. It seemed so reasonable, so useful, this advice. She had a tendency, she suspected, to get lost in her love of stories and words, and maybe the students didn’t learn anything particularly useful as a result. Being explicit should help. But what was it that she wanted her students to learn? And did she want Sophie (who loved their present text and wrote poetry herself) to learn the same things as Brad (who thought English was a waste of time and was desperately trying to get by to please his parents)? Did she want Ayati (who was struggling with the language) to be learning the same as Desheng (who wanted to be a doctor, was a high achiever, but who struggled to see beyond the literal)? ‘The students will respond to the text in various ways,’ she wrote, but immediately scribbled it out. She could hear her mentor saying ‘too vague’, and ‘not measurable’. ‘The students will understand that poetry can open our eyes to the previously unseen.’ She liked this. It was what Maxine Greene had always said about the function of literature. But how would she measure it? She giggled inwardly as she imagined a test which said ‘describe what you you could see before and after reading this poem’. Desheng would go ape. Perhaps, she began to think, the problem was with the assumption that lurked beneath the whole idea of outcomes, the idea the English teaching was entirely to do with teaching what can be made explicit and what could be measured. What had her own English teacher done, she wondered. How had she become someone in love with the English language and the stories it continually tells? Her mind drifted back to her own school days and lessons spent where the students read their favourite poems, where they played with language (along with her teacher) in ways that sometimes worked and sometimes didn’t, where the school librarian would bring each Tuesday a box of books (different genres, different lengths) for the students to choose from. Were these the keys to her love of English? Or was it the friendship group, and the time spent listening to Alysha? Or perhaps it was the work they all did on preparing a school play? English, for her, was more about engaging with the world through language – something she now realized she’d been doing from the moment she’d been born. Birds fly, fish swim; people language. Outcomes were a distraction, a siren call. Could she tie herself to the mast and resist it? In my last post, I wrote a version of the story ‘The Queens Journey’. It’s probably the story that has had the biggest impact on me in my life, and the one I’ve told the most often. I thought I might use this post (and perhaps the next couple of blog posts) to wonder aloud why this might be so. I remember at school (now over 50 years ago) never being able to feel that scientific explanations of the world were satisfying. When we studied light, or energy, or momentum, or the periodical table, there were always questions unanswered. At the time, I couldn’t work out what the questions were, except they had something to do with, ‘So what is it that causes all of this to happen?’ When we were studying photosynthesis, for example, or life cycles, it seemed that the scientific explanations always stopped short of explaining what it might be that lay the heart of all these processes, what it was that animated them, gave them life, set them going, made them happen. I went to a religious boarding school (prayers every day, chapel at least once and often twice on Sundays), and perhaps I might have believed that the answer lay in the Bible or in the stories the chaplains told us. But I wasn’t convinced of this either. Both explanations – the scientific and the Christian – seemed to stop short of venturing into the territory that seemed most interesting to me, territory which seemed connected to uncertainty, complexity and mystery. Nor did either of these two explanations talk to each other. There was lots of talk about complexity in science and mystery in chapel, but neither was quite what I think I was sensing was missing (though I had no words for it, no real way of articulating this to myself or anyone else). Much later in life, I was introduced to Jung’s thinking, and then, through him, to the world of Western philosophy and discussions about ‘the thing-in-itself’. All that seemed much more interesting. What animates the world? ‘Nature naturing’ (Spinoza)? Will (Schopenhauer)? ‘The will to overcome’ (Nietzsche)? These seemed attempts to name what seemed to be left out of the scientific and Christian explanations. These seemed to be attempts to enter into a kind of grappling with mystery, complexity and uncertainty. Then I remember seeing an interview with Joseph Campbell where he talked about the masks of god, and how we humans are not capable to looking directly at the source of all being, but can only get glimpses through contemplating masks and signs. At around about this time I began to realize that this is what certain kinds of stories did for me. They gave me glimpses. I remember writing in my Masters thesis the undoubtedly unoriginal (but new to me) insight that it made sense to think of our DNA as being animated by the same energy, and being structured by the same patterns, that we find in the big stories. Or at least that in telling and hearing these big stories, we were somehow ‘in the presence of the life force’. And that this was about as close as we would ever to get to being able to think about this ‘thing-in-itself. Or at least as close as I would ever get. For me, the story of the Queen’s Journey is a story about what’s in our DNA. I imagine DNA as being characterised by all these little electrical charges, full of attractions and repulsions, operating according to patterns that we experience all the time and yet which feel mysterious. We sense our lives being shaped by unknown forces, and at the same time we operate as if it’s we ourselves who are calling the shots. Active and passive. Potent and impotent. Attractions and repulsions. Impulses and resistances. Possibilities and limits. Lots of opposites, lots of tensions. Jung’s writing is full of them. So is the Queen’s Journey. As with all good mythopoetic literature, a folk story is layered enough to contain many meanings, and the story of Hansel and Gretel is no exception. This morning it came to mind as I was thinking about an article I’d just read about English teaching. First the article. It is called ‘The Challenge of English’, and it’s written by a senior English teacher at a Victorian private school. (It’s a school that I have a family connection with, as my grandfather was its Headmaster for a while and my father was brought up on its grounds.) 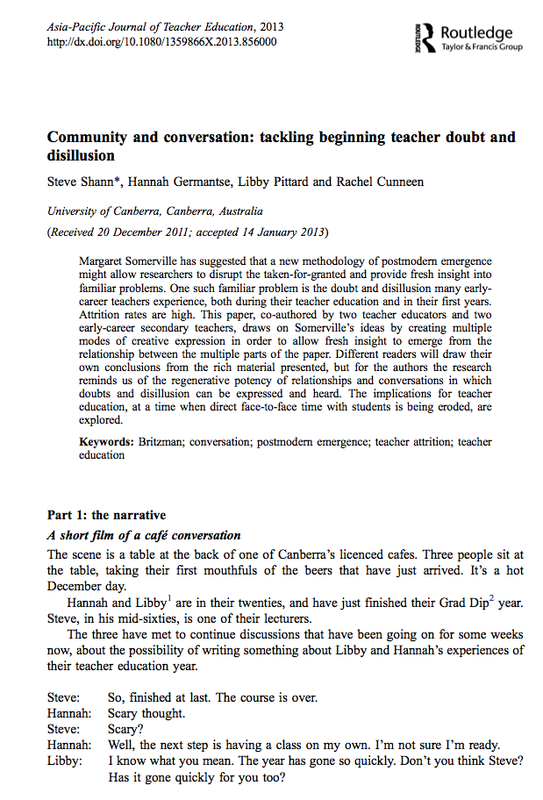 The author gives advice to Victorian students beginning their final year of English studies. First he describes the nature of the English course. It is, he says, ‘an English course that develops a variety of language, interpretive and writing skills. It is a course based on the use of language; every outcome has language at the heart’. He then explains how best to tackle the course. 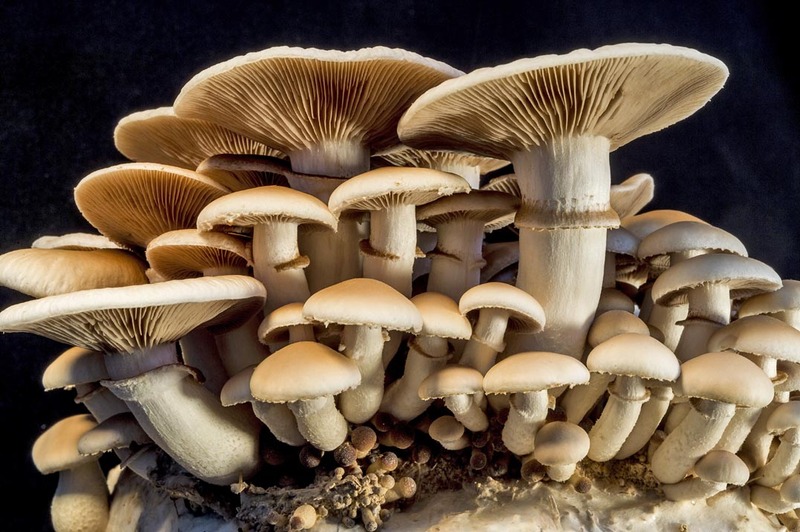 There is an implicit metaphor in the way he describes this course, that of a scientist observing, dissecting, describing and analysing an object. Students need to have a mastery of their texts [in order to develop] insights into the key themes, characterisations and ideas of the text. [Students need to] have a thorough understanding of the structures, features and conventions used by writers or directors to construct meaning …. In what ways do the narrators present their stories and what are the limitations of their narration in respect to biases, personal beliefs and their world as they understand it? This is the sort of question a thoughtful VCE student should be asking. [With the section of the course devoted to the language of persuasion], the task of the student is … to surgically analyse [the language of texts] to demonstrate an understanding of the ways language and visual features are used to present that point of view. This is all good, sound advice. Given the nature of the English course, and the way student responses are marked against explicit and measurable outcomes, to advise anything different would be irresponsible. But the subject has wandered far from where it has its home. And that’s where the story of Hansel and Gretel comes in. In the story, all at home is not beer and skittles, and the children – Hansel and Gretel – are forced to leave and venture into the forest. They attempt to find their way back, but in the end are lost deep in the forest where, desperately hungry and tired, they stumble across a small house, tantalizingly made of bread, cake and sugar. As they begin to eat the house, an old woman comes out of a door, a woman who seems kindness itself. The old woman, however, nodded her head, and said: ‘Oh, you dear children, who has brought you here? Do come in, and stay with me. No harm shall happen to you.’ She took them both by the hand, and led them into her little house. Then good food was set before them, milk and pancakes, with sugar, apples, and nuts. Afterwards two pretty little beds were covered with clean white linen, and Hansel and Gretel lay down in them, and thought they were in heaven. It turns out they’re not in heaven at all, but in the clutches of a cannablistic witch. 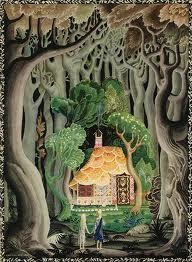 What was it about the newspaper article that had me thinking about the story of Hansel and Gretel? 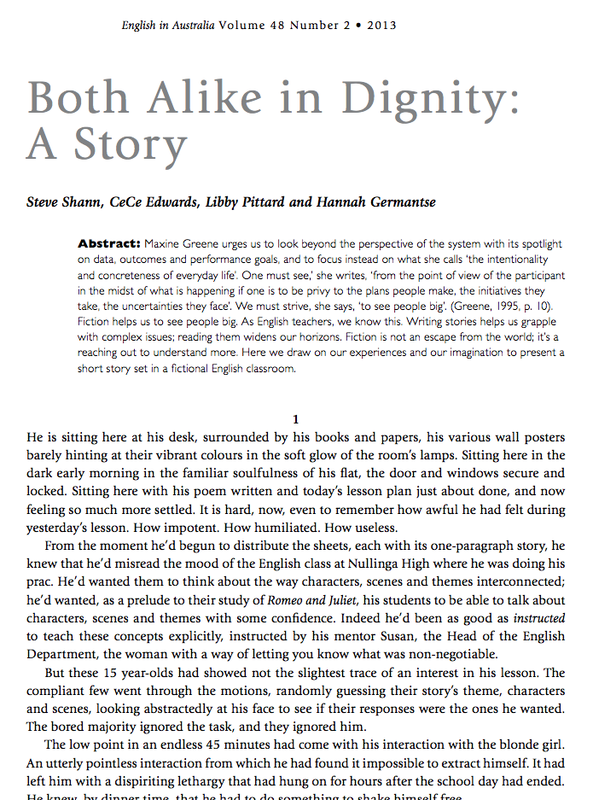 It’s been my sense for some time that secondary English teaching, as it has been represented in curriculum documents and assessment protocols, has lost its way. It’s been cut off from its home (more about that later), and, in its search for some kind of recognized position alongside valued school subjects like maths and science, has tried to establish itself within the neoliberal discourse. It’s found itself feasting on a house made of cake and sugar. 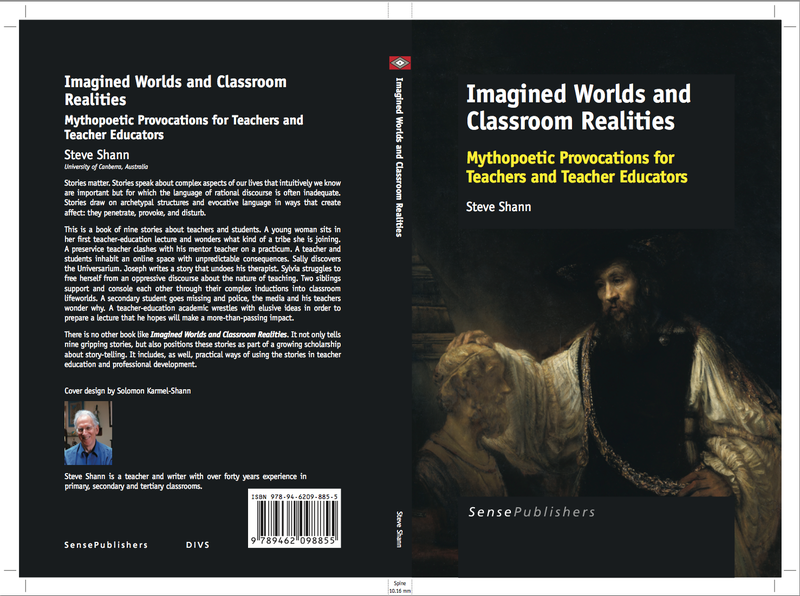 It has been seduced by the promise of rubrics and measurable outcomes into thinking that its real value lies in its potential to raise literacy standards and teach communication skills. For a while outcomes and rubrics gave us some relief, some welcome bread and cake, a sense that we could explain to the students what we were looking for and how they could succeed in our subject. But, instead, we find ourselves in a place where we’ve lost touch with our true home, the deeper essence of our discipline. I’d like to come at this (in an attempt to do what good stories do) meanderingly. Last weekend I read Jeanette Winterson’s Sexing the Cherry. There’s so much in that book that made me think, both about my own life and about the world in which I live. That’s the thing about great books, isn’t it; they make you think, they help you to see more, they give you words for feelings or intuitions that until then had remained below the surface. They help nudge us towards a greater connection with the world: the world out there or the world inside. And this, in turn, reminds me of Spinoza, who said that our limited faculties mean that we are only able to comprehend a miniscule portion of what is, a tiny bit of the vastness that only ‘the eye of eternity’ can take in. I do not read these books in order to dispassionately observe, dissect, describe and analyse. They are not objects like that. Instead they are minds with which I strive to have some kind of relationship; they are voices I listen to in order to know more about the world that I’m in. The focus here is not on the text-as-object, but on what happens when I, as reader, open myself up to a conversation which involves trying to see the world as the writer, or one of the writer’s characters, might have seen it, or to understand something more about a character’s – and therefore a human – experience . I’m not outside, looking in at the text. The text and I are standing shoulder to shoulder, looking together at the world and sharing thoughts about it. English has lost its way because its become text-centric. The proper object of study for any discipline is not, as the article implies, the text; it is the world in which we live, and we enter into a relationship with useful texts only in order to help us understand that world just that little bit better. I want to explore this idea some more in my next post. Hmmm. The authors I’ve been reading this past week have been unsettling my instinct that secondary English teaching might be thought about as a discipline, as a distinct way of explore the world. It’s more a hybrid subject than a discipline, they say, an evolving collection of components shaped partly by political and economic drivers (Green and Cormack 2008; Dixon 2012; Misson 2012), partly by its genealogy (Cormack 2008) and partly through individual teachers adapting curriculum frameworks in eclectic and various ways (Howie 2008). I’ve just read an article (Kostogriz and Doecke 2008) which shifts the focus from what English is to what English should be. This was a time then, say Kostogriz and Doecke, when English classrooms were seen (at least by the proponents of the progressivist turn) to be places where difference was central. I was one of those proponents, and I remember the times as being exciting, full of possibility and potential. The progressivist turn failed and we live in different times. Kostogriz and Doecke argue that today’s English classrooms are heavily influenced by a quite different driver. Instead of difference, assimilation. Instead of a plurality of experiences and values, a drive towards a ‘cultural core of Australian-ness. more numerous and more fluid relationships between people using literacies in multiple ways and contributing to the production of new meanings (272). The authors began their article by describing the gap between the intended and the enacted curriculum, suggesting that teachers of a progressivist bent in the 70s and 80s found ways of teaching English in ways not necessarily envisioned by the curriculum designers. I suspect that nothing has changed, and that there are many classrooms around the country where you’d find numerous and fluid relationships between people using literacies in multiple ways and contributing to the production of new meanings’. The animating enacted curriculum lives on. Perhaps, though (and this is where my thinking is leading me), we need a stronger sense of English as a discipline. Those English teachers in the trenches, making their classrooms places where new meanings are generated through engagement with other bodies through provocative and engaging texts, might have their confidence boosted and their loins girded if there was a more clearly articulated alternative version of English teaching to the one implied by our National Curriculum, or when it’s described as a hybrid of contextually defined elements making up a subject rather than a discipline. Cormack, P. (2008). “Tracking Local Curriculum Histories: The Plural Forms of Subject English ” Changing English: Studies in Culture and Education 15(3): 275-291. Dixon, R. (2012). 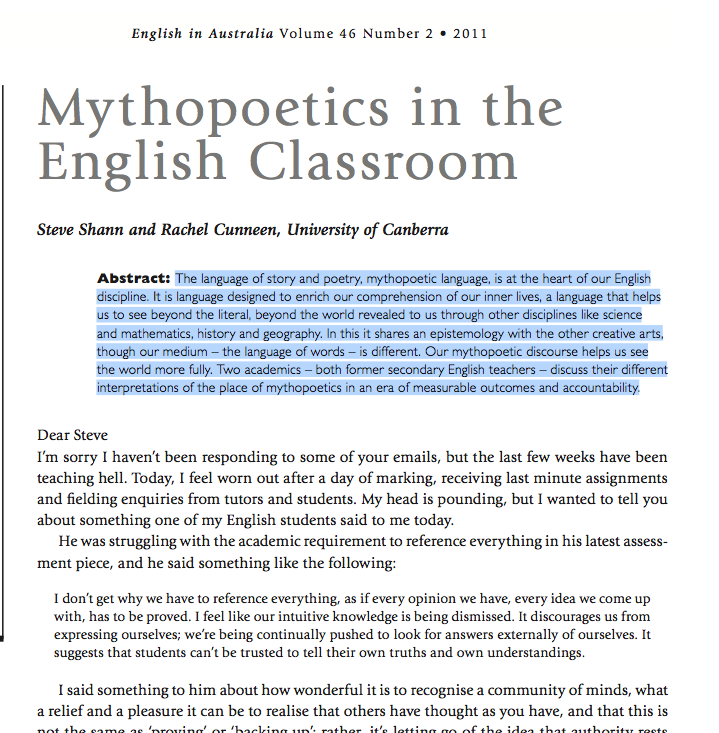 “‘English’ in the Australian Curriculum: English.” English in Australia 47(1). Green, B. and P. Cormack (2008). “Curriculum history, ‘English’ and the New Education; or, installing the empire of English?” Pedagogy, Culture & Society 16(3): 253 — 267. Howie, M. (2008). 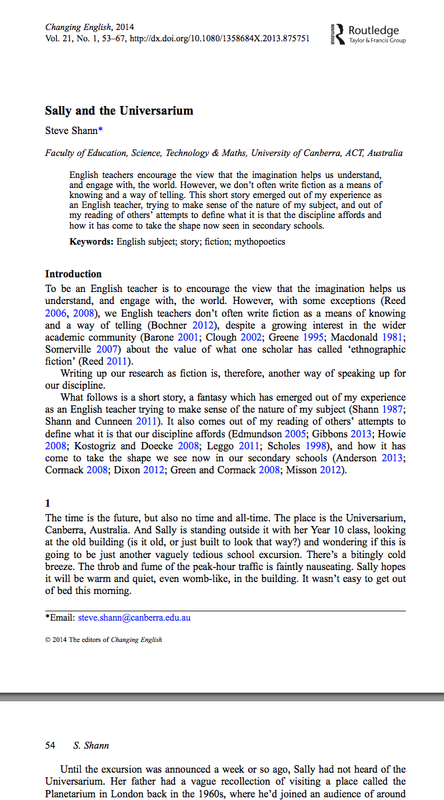 “Problematising Eclecticism and Rewriting English, .” Changing English: Studies in Culture and Education 15:3, (3): 339-350. Kostogriz, A. and B. Doecke (2008). “English and its Others: Towards an Ethics of Transculturation, .” Changing English: Studies in Culture and Education 15(3): 259-274. Misson, R. (2012). 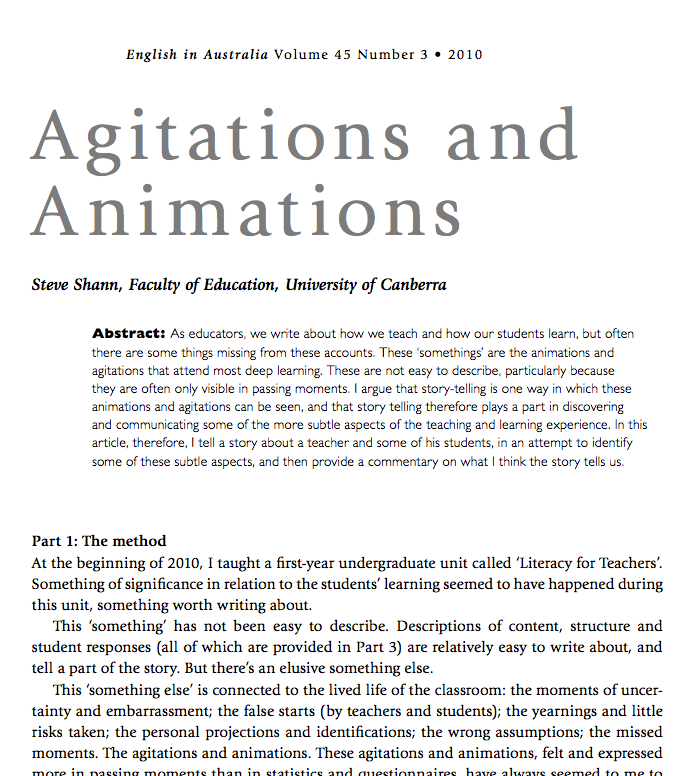 “Understanding about water in liquid modernity: Critical imperatives for English teaching.” English in Australia 47(1).